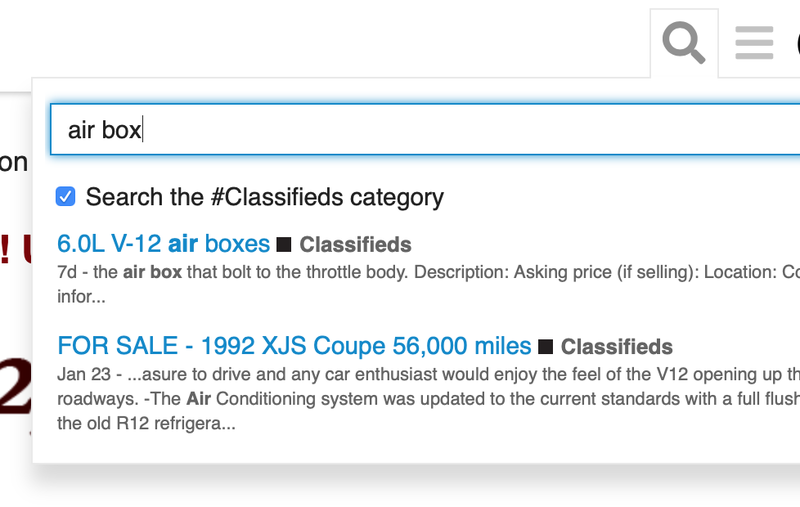 How do I: Use the Classifieds category? 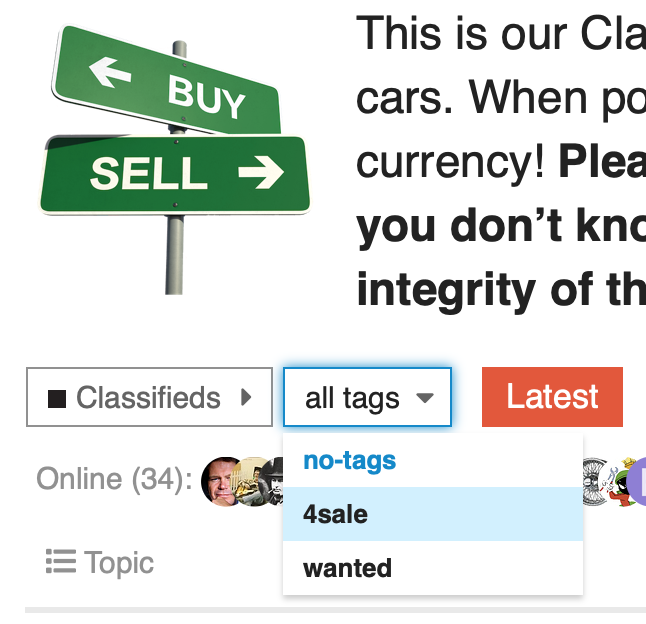 To post a new classified ad, first click the Classifieds category from the main Forums page. Once in the category, click the “+ New Topic” button above and to the right of the list of ads (each ad is considered a Topic in the Forum vocabulary). In the window that opens, type in a title for your ad. This could be “1986 Jaguar XJ6 for Sale”, or “Wanted: Windshield for 1954 XK120”, or similar. Try to make the title as descriptive as possible, while still keeping it relatively short. Underneath the title, and just to the right of the word Classifieds, there’s a drop-down menu that allows you to select a tag (keyword) for your ad. Click the plus sign and select either “4sale” or “wanted”. You must select one. In the main editor window, remove the text “(Include at least one picture)” and instead insert a picture of the item you’re selling or seeking. Fill in the description, asking price (don’t forget to include the currency), location, contact information, and so on. Please note: Your ad will be visible to the whole world, so think twice before posting your phone number or personal email address. You can simply ask people to send you a PM (Personal Message) on the Forums instead, if they’re interested in your item. Once you’re satisfied with your ad, click the “+ Create Topic” button below the main editor window. Your ad is now posted and available for all to see. Please don’t forget to come back and mark your ad as Sold or Purchased, depending on the situation. Simply find your ad in the list (or use the Search function), click the title, and on the next page click one of the buttons above the title (“Sold”, “Purchased”, “Exchanged”, or “Cancelled”). This will clearly flag your post as no longer active, and eventually archive it.